Mobile cranes | Pavel Švestka, s.r.o. Crane works are one of our specialised activities, in which we have years of experience. 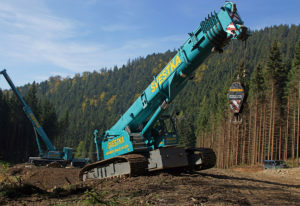 Thanks to our various machinery, we will provide the most demanding crane works according to the customer’s requirements with load capacity up to 400 ton and up to the height of 116 metres. 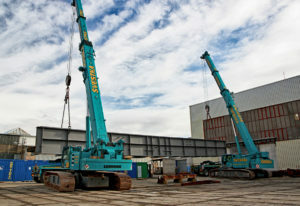 We use the crane technologies as a standard for more demanding realisations, as e.g. dismantlement of unused construction parts, bridges, loading technology equipment in closed halls. 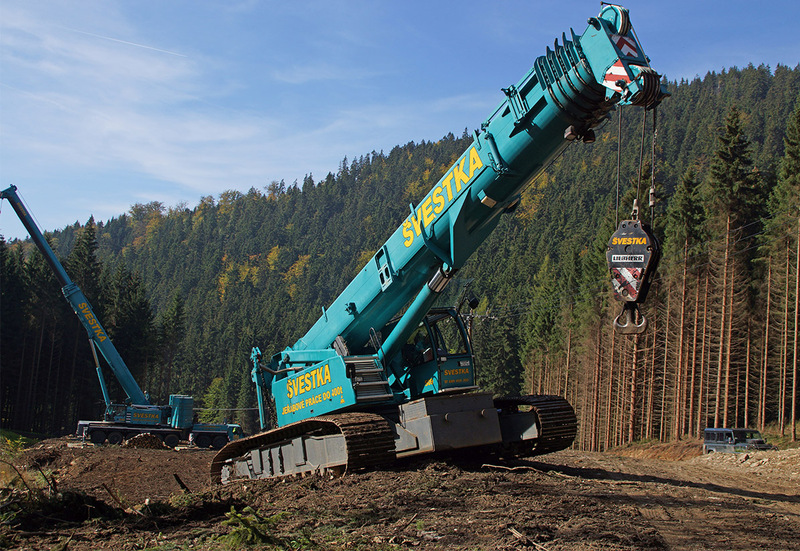 Thanks to special track telescopic cranes, we also offer crane works in hard to get terrains. The safety of the work is provided for by the team of trained professionals, who use the latest technologies including computer simulations. 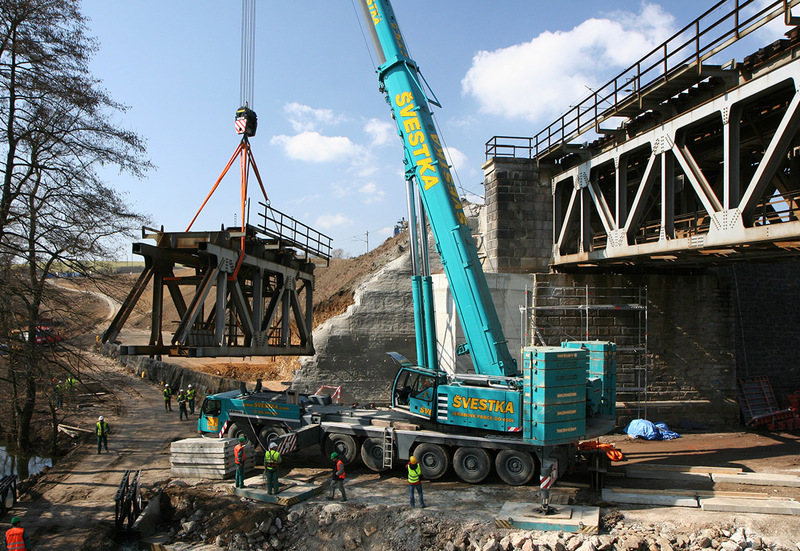 Before the realisation of the order itself, a crane technician will survey the situation and design optimum solution to prevent all possible risks including damage to the load.